Another man is on remand for an alleged indecent assault upon a minor. 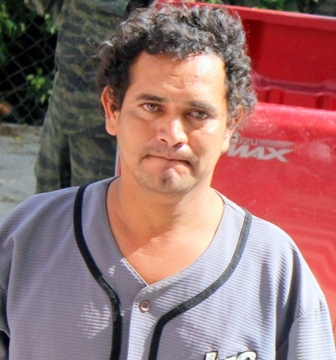 Edilmiro Oliver appeared in the Belize City Magistrate’s Court to answer to a single charge of aggravated assault of an indecent nature upon an eight year-old girl. The incident allegedly occurred on July first, 2013 and Oliver is said to have touched the child in an appropriate manner. He appeared before Chief Magistrate, Anne Marie Smith this morning and pleaded not guilty to the charge. The court prosecutor, Sgt. Itche objected to bail and the Chief Magistrate upheld the objection denying bail. He was remanded to the Belize Central Prison until August thirtieth, 2013. At least he is not a homosexual, it could have been a boy. Belize needs to get back to backward, let him marry the girl, problem solved. Works in a lot pious God-fearing countries. Then the prosecution can get back to not-solving homicides. It is what the Jewel needs and deserves.